When it comes to world-class service, our team at Big Island Honda knows how to deliver! But it’s important to note that we would not be able to provide you with world-class service you deserve without the help of our talented team of associates. This month, we want to introduce you to one of our technicians at Big Island Honda-Kona. Meet Jonathan Walsh! Originally from Florida, Jonathan’s passion for cars started at a young age when he would help his father build cars. After visiting O’ahu, it was clear for Jonathan that Hawaii would become his new home. Because of his affinity for outdoor exploring and the Big Island’s quaint countryside-feel, he knew the Big Island would be the perfect place to settle in, and since September, we have been lucky enough to have Jonathan a part of our team! 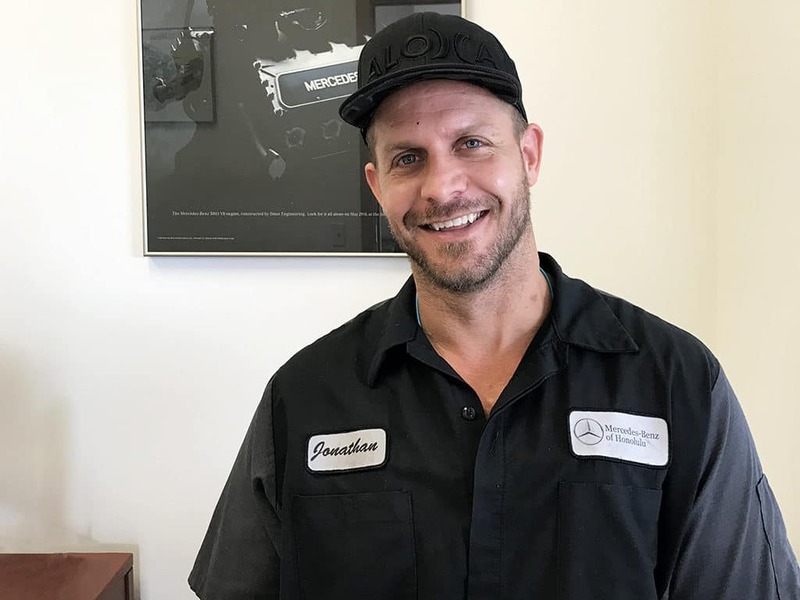 Aside from being a Master Certified Honda Technician, Jonathan is also a skilled, Master Certified Mercedes-Benz technician, as well! While we are a Honda dealer, we can’t help but lend a helping hand to our three-pointed star Fletcher Jones locations scattered throughout the Big Island and Hawaii. Honda and Mercedes-Benz drivers alike on the Big Island are encouraged to visit Big Island Honda in Hilo and Kona for all your service needs. Contact our Service Department at (808) 202-2858 for more information. We are very happy you are with Big Islsnd Mercedes in Kona! We have a older Mercedes 600SEL-V-12 we would like you to service it soon. Aloha Doug! Thank you for following our blog. A service coordinator will be reaching out to you shortly!